I had noted above that the sausage should be cased that you purchase but you're going to uncase it when you use it. It could be as part of your prep or you can do it when adding to the pot. Anyhow, dice up your onions well. Mince the garlic and set aside. In a large pot/saucepan, add oil on medium heat and onions. While that is cooking, measure out your liquids, dice the squash, and prepare the parsley (squash and parsley can be placed together in the same prep bowl). When your onions are starting to get translucent, add in minced garlic. Then uncase Italian sausage into pot, breaking it up to small pieces with your spatula. 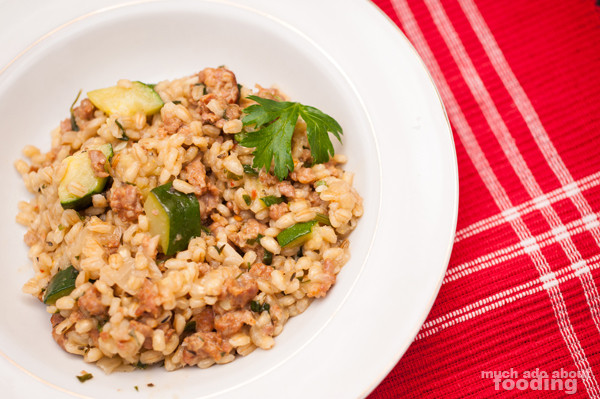 Once meat has browned, add in pearl barley and toss to coat in oils. Add white wine until reduced. Add in chicken broth 1/2 cup at a time, making sure it is completely absorbed before adding next 1/2 cup (about 30-40 minute process). Add squash and parsley in the last 5 minutes of cooking. 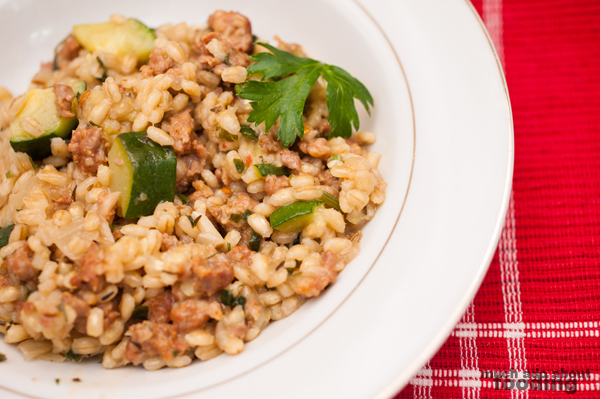 Dish is done when the barley is cooked and slightly chewy. Enjoy! I've noticed that some people don't seem to know the difference between jam, jelly, and marmalade. Actually, it's more like the difference between the first two of those three but I'm going to pick on marmalade for now because I haven't personally worked with it before. 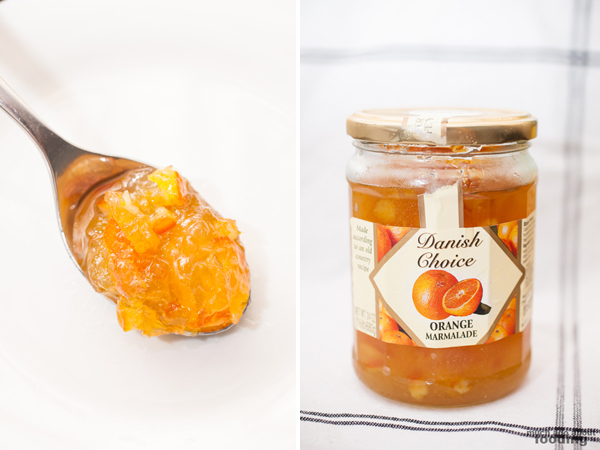 Marmalade is a fruit preserve that incorporates both the juice and the peel of citrus fruits in the preserving process using sugar and water. This leads to a bit of a bitter taste since the pieces of peel themselves are bitter. It can be made from a variety of citrus fruits including lemon, lime, grapefruit, etc but the one I think people see or hear about most commonly is made from oranges. So yeah, let me know on Facebook what you think I should use orange marmalade for!